Joe Gloor, Dan Berg and Dan Haligas were just a group of friends from the suburbs of Illinois with big city dreams of rock n’ roll glory. Their lone release, “White Washed Afternoons” b/w “Watcher’s Brawl”, was released under the name StumpWater in 1975 and fell on mostly deaf ears, leaving the band with little option for a breakout. Undeterred, the boys continued to stay active for the love of music, gigging around their home state for decades (eventually carrying the torch without Dan Haligas, who sadly passed away). Fast forward to the present, and Galactic Zoo Svengali and crate digger, Plastic Crimewave, discovered the local 7″, heard something amazing in it, and after some research found and contacted the band. The obvious question was raised: was there more recorded material, or had the Stump dried with that lone 7″? Lo and behold, the band had recorded a friggin’ full length album back in ’73, sitting unreleased for nearly 50 years! 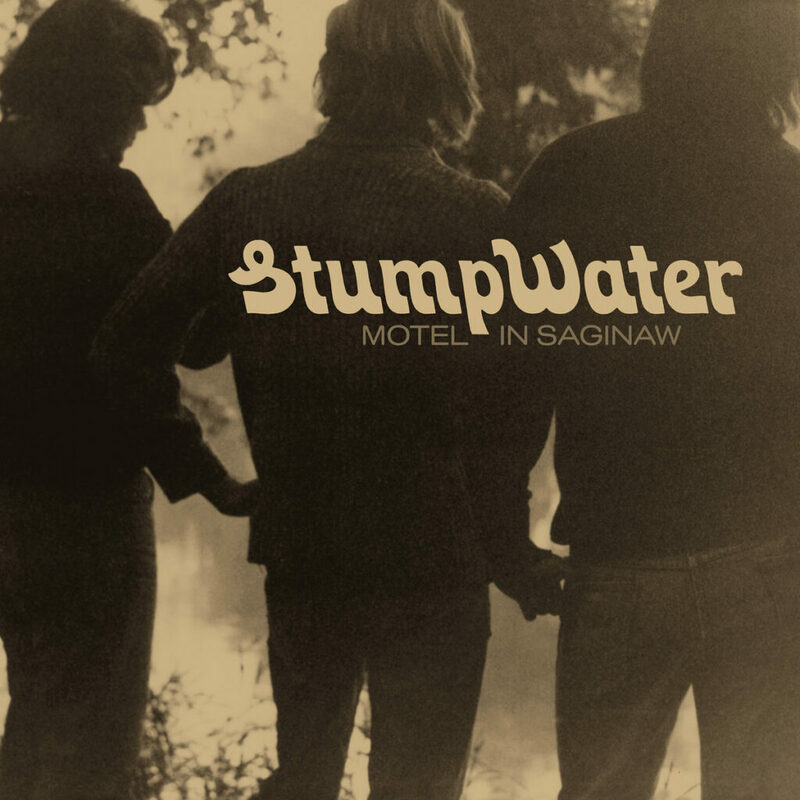 StumpWater‘s unheard treasure, Motel in Saginaw, is finally seeing the light of day on February 22nd, and we’ve got another tasty little preview from it that’s worth sinking your teeth into – dig “The Hermit”! Far from West Coast seismic happenings, Aurora IL’s StumpWater were brethren born – acoustics and harmonies to the fore, biting social comment on their lips – a fresh-but-feral alliance of insider (CSN) and outsider (Mu) rock styles. “The Hermit” is rural folk rock that’d make David Crosby‘s ‘stache bristle; late-night, unwashed laments that quirky/heady troubadours like Tom Rapp, Gary Higgins or even poor, jaded Phil Ochs could groove on!